Our last ‘latest news’ blog posting, was last year’s ‘Year-In-Review’, so you might draw one of two conclusions — Traggorth Companies hasn’t been very busy at all, or we’ve been so busy we’ve forgotten to post about any of it on our website. If you know us, or if you follow us on Twitter (and soon Instagram), you know its the latter — not only with our work, but with our families; with Tanya's family welcoming Ida Jean in July and Dave's family welcoming August Lee in August. Dan wasn’t about to be outdone; so he and Gen were engaged earlier this year, and we’re all looking forward to a big party in 2019 to celebrate their wedding. Our project and consulting news this year represents much of what we like best about our work: partnerships, and expanding our commitment to those communities that we know and love. Mayor Walsh joined us for the ribbon-cutting at the Residences at Fairmount Station’s in November. We celebrated with Southwest Boston CDC and other members of the community the completion of a project that represented the first new affordable housing in Hyde Park in 20 years. In September we joined Mayor Fiorentini in Haverhill at 87 Washington Street (soon to be called The Granville) to break ground on 24 market rate lofts over 3,500 square feet of retail just down the block from our enormously successful JM Lofts. We love creating spaces that drive the continuing transformation of Haverhill. We’ve started the construction of the Riverhouses and Modern Mills at Cable Mills, 8 river front homes in Williamstown, Massachusetts, building off of the success of the historic rehabilitation of the original mill completed back in 2016. The buzz in the Northern Berkshires, about it's natural beauty, art, and culture is undeniable and growing. We've partnered with The Neighborhood Developers, to bring much needed affordable housing, open space, and Mill Creek access to the Chelsea community by restoring an old muffler shop site, long since vacant at the gateway to Chelsea from Revere. Our consulting work continues to be largely focused on the nuts and bolts of affordable housing execution for many of our long-time clients, and we love putting our skills and relationships to work for these great organizations. While I thought that the early education center we built at the ground floor of Mosaic would be a one-off adventure, we're working on two more mixed income early education centers in the Boston area. We've found that our skills in navigating the complex finance and regulatory world of housing is quite applicable in the equally high need and high demand world of early education. Needless to say, our experiences as young parents, balancing life and work, also provides helpful perspective. As 2018 wraps up, we thank so many of you for supporting, encouraging, mentoring, and following our work in the way that you do. Rarely throughout the year do we pause to mark important milestones in our work, so we look forward to this time of year when we can slow down a bit to reflect on the year and look ahead. We’ve been fortunate in 2017 to lead and participate in some amazing, award winning projects and lay the groundwork for what we hope will be a productive 2018 and beyond. As we say and feel more and more every year, we are so appreciative of the many partners that we work with that make our work, and the important results it produces, possible. Residences at Fairmount Station, a 27 unit affordable and workforce housing project across the street from the Fairmount commuter rail station in Boston’s Hyde Park neighborhood broke ground. The foundations and utilities are in, steel is up, and the project is due to be completed in the fall of 2018, providing the first affordable housing for Hyde Park in more than two decades. Following our smart growth development strategy, we purchased 24 Gould Street in Reading and obtained permits this past fall. Less than 200 yards from the Reading commuter rail and located in Reading’s downtown commercial district, the project will provide 3,500 square feet of retail, 55 residential units, and amenities. Also next to transit, this winter and into 2018, we are advancing the permitting for a site next to Dorchester’s Shawmut Red Line stop. We’re working with neighborhood groups to realize a mixed-income homeownership project that will replace a generations old auto body shop. Mosaic, a project we completed in 2016 won the Urban Land Institute’s Jack Kemp Workforce Housing Award this year. We also sold the last (and 43rd) affordable unit condominium in 2017. We completed the moderate rehabilitation of 81 affordable apartments across 17 buildings in Mission Hill in 2017. Not only were the century old buildings restored to historic standards, but the front and rear yards were completely reimagined to provide for private and public gathering spaces for residents and a restored streetscape. Our partnerships with like-minded clients committed to affordable housing, smart growth, and community development remains a key aspect of our work and mission. In 2017 we expanded relationships and built new ones with organizations such as the Roxbury Tenants of Harvard, Southwest Boston CDC, Youth Enrichment Services, United South End Settlements, and the Boys and Girls Club of Brockton working on transformative real estate projects across the Commonwealth. Residences at Fairmount Station, a 27 apartment project immediately adjacent to the Fairmount Station Commuter Rail Station in Hyde Park, is progressing on schedule through construction with a late 2018 opening expected. The project is a collaboration of Traggorth Companies and Southwest Boston Community Development Corporation based in Hyde Park. The $8 construction project, built by Delphi Construction is being funded by Webster Bank, Mass Housing, the Department of Neighborhood Development, the Department of Housing and Community Development, and the National Equity Fund. Mosaic on the Riverway was recently named a finalist of the Urban Land Institute 2017 Jack Kemp Excellence in Workforce and Affordable Housing Award. The national award recognizes exemplary developments that ensure housing affordability for people withe a range of incomes. Mosaic on the Riverway consists of 60 affordable rental units, 43 affordable condominium units, and 42 market condominium units, serving formerly homeless households, to those paying market rate. The winner will be formally announced at ULI's Housing Opportunity Conference in New Orleans this fall. ULI's press release can be found here. Mosaic on the Riverway recently obtained it's certificate of occupancy and has moved in it's first residents over the past few weekends. The 42 market rate condominiums are 100% sold, the affordable condominiums are being processed for sale through the lottery in August, and we expect occupancy of the 60 affordable rental units this month. In addition to a residential lobby, the ground floor features a 9,000 SF early education center scheduled to open in the Spring of 2017. For more information about the project visit here. The first residents of J.M. Lofts in Haverhill moved in over this past weekend! We're also excited to announce that Battle Grounds Coffee will be moving into one of the retail locations downstairs providing an exciting new hangout spot for our residents and the rest of Haverhill! A ribbon cutting will be held on June 7, 2016 at 2pm. Exposed brick and beam, tall ceilings, create amazing living spaces at JM Lofts. Each unit has views of the surrounding historic district and some have a glimpse of the Merrimack River. Cable Mills in Williamstown, Massachusetts celebrated a ribbon cutting today with friends and colleagues. The 9 acre site, $26M project, consisting of 61 apartments is over 70% leased one month after opening. To read more about the event visit Iberkshires and the Berkshire Eagle. A before and after looking from the north parking lot to the main entry. Today, we celebrated a 'topping off' of the steel at Mosaic with Mayor Marty Walsh, Councilor Zakim, and Undersecretary Chrystal Kornegay. Photos are below. The topping off marks a significant milestone in the construction of the aptly named, Mosaic on the Riverway development, which will provide 60 Low Income Housing Tax Credit (LIHTC) rental units, 43 affordable condominiums and 42 market-rate condominiums. Bringing much needed high-quality market rate and affordable for-sale and rental housing options for the diverse and growing workforce of the Longwood Medical area, the project also includes a childcare center that will serve approximately 100 children. Funders for the project include Bank of America, Brigham and Women’s Hospital, the City of Boston, the Commonwealth of Massachusetts, The Roxbury Tenants of Harvard, Inc., Boston Community Capital and the Massachusetts Housing Partnership. The project is slated for completion in 2016. 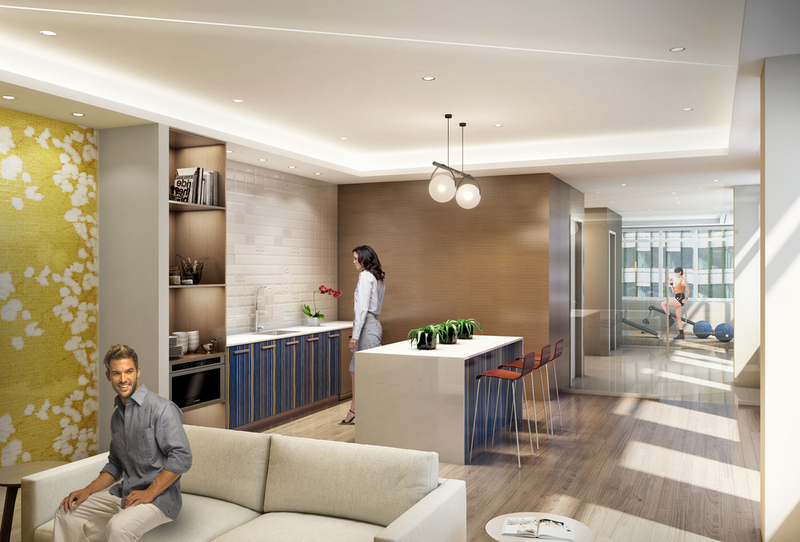 The market-rate condominiums are now for sale through Advisors Living, the project’s exclusive broker and www.mosaicbostoncondos.com. The affordable rental and homeownership marketing will start in the spring of 2016. In addition, the sales office is now open and the interest in the market rate condominiums has been tremendous! Traggorth Companies serves as project manager for the Mosaic. Are the 'amenity wars' really good for producing cost-efficient housing? Why are we not encouraging residents to get out into the neighborhood and support existing or potential fitness, coffee shops, yoga studios, and more? Amenities drive up the cost of production and condominium fees. Shared parking should be a priority. The cost of producing parking in every new building is extremely expensive in many cases. State disposition of land targeted to housing and coordination with DHCD will be important. For more information on the event. Click here. Cable Mills: Spring has arrived in the Berkshires and what a spectacular sight and feeling given the cold winter. Nonetheless, thanks to the great crew from NEI and Finegold Alexander, we're on target for an end of 2015 completion and in the middle of a lot of masonry, carpentry, and concrete work. In addition, we just launched our marketing effort and we've already signed up a few apartments. The interest and demand have been tremendous! Check out the website at www.cablemills.com and take a moment to see the action in this video filmed by the folks at the Berkshire Eagle. Mosaic: Also known as Roxbury Tenants of Harvard Residential Building, this started in March and with an unrelenting effort by ADD Inc and Consigli, it is already 11 stories in the air with the elevator core. 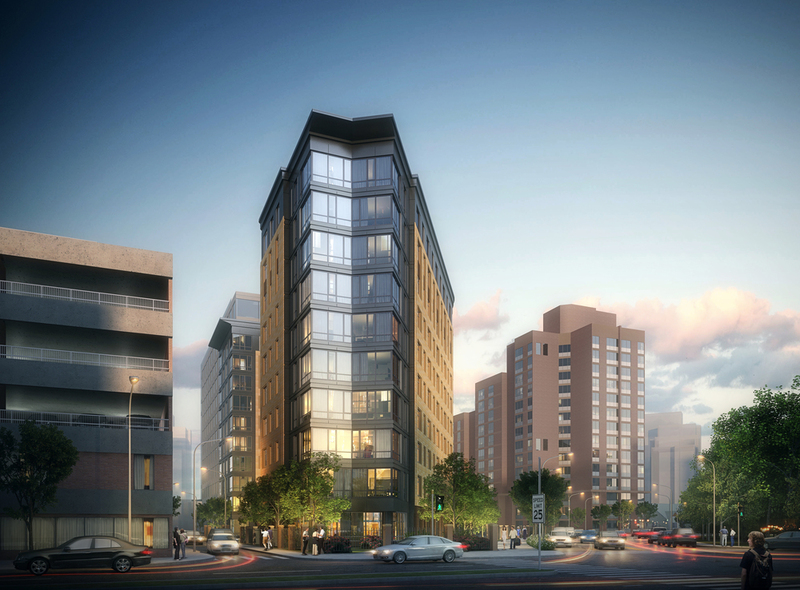 The project is one-of-a-kind in that it will have 60 affordable apartments, 43 affordable condominiums, and 42 market rate condominiums in the heart of the Longwood Medical Area. Marketing of the condominiums will begin later this summer so stay tuned! 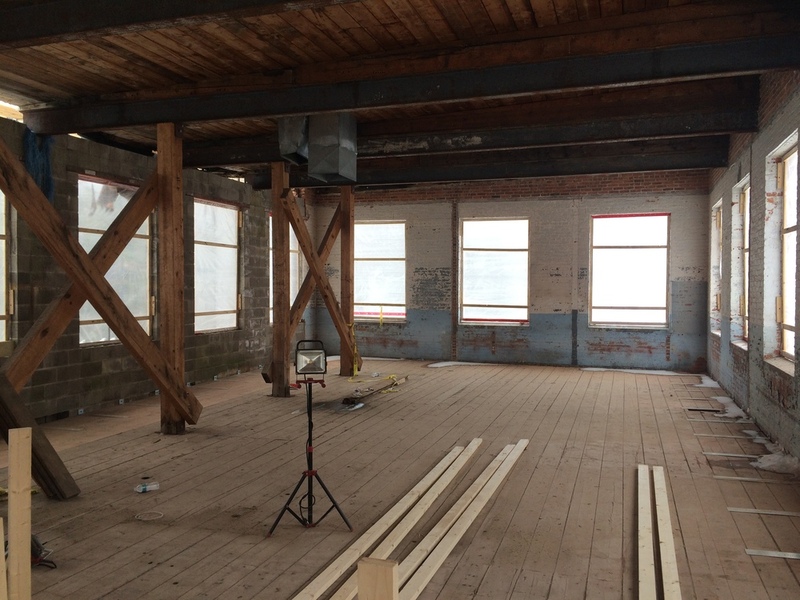 JM Lofts: Due to start full construction later this month and with the abatement work behind us, we're prepping window and steel shop drawings on this historic renovation into 18 residential units and 4,500 square feet of retail on Haverhill's Washington Street. Photos to come soon as we get moving, but in the meantime, learn more about the project here. We're through two months of 2015, and two projects have hit significant milestones already. In between snow storms, we received our certificate of occupancy for the Flats at 22 and there are only six of fifty apartments remaining. We've been delighted at the tremendous response from people who love the tall ceilings, big windows, state of the art heating systems, and underground garage. In the December 1 issue of Banker and Tradesman, Dave highlighted Chelsea and Haverhill as two places where workforce housing is getting built and the lessons that successful projects in those cities might mean for the rest of the Commonwealth. To read the article, click here. Dave was down in New York City this past week with Ann Houston, Executive Director of The Neighborhood Developers, and Jay Ash, Chelsea's City Manager, at the Urban Land Institute for their Fall Meeting where it was announced that the Box District won the Jack Kemp Excellence in Affordable and Workforce Housing Award which celebrates and promotes the exemplary efforts of real estate and public policy leaders from across the country who are working to expand affordable and workforce housing opportunities. We are incredibly thankful to all of our partners that helped envision the Box District - Mitchell Properties, the City of Chelsea, and The Neighborhood Developers - for the opportunity to help create this amazing neighborhood. TC provided project management services for Atlas Lofts, the Flats at 44, and the Flats at 22. Join us and the Roxbury Tenants of Harvard at a ribbon cutting of their state-of-the-art new community center! For the invitation, click here.